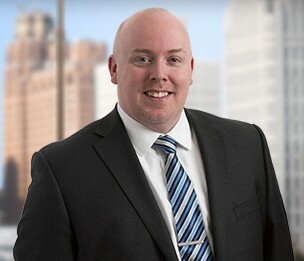 Matthew R. Zischke is an associate in Dykema’s Bloomfield Hills, Michigan office, with a primary focus on providing employee benefit advice to publicly owned, nonprofit, private, and governmental employers. He focuses his practice on providing ERISA, IRC, DOL, PPACA, COBRA and HIPAA compliance advice regarding pension plans, profit sharing plans, 401(k) plans, 403(b) plans, 457 plans, ESOP plans, IRAs, and other retirement and fully and self-insured welfare benefit plans. Mr. Zischke has experience representing clients with respect to qualified retirement plan Voluntary and Self Compliance Programs under EPCRS, Letter of Determination Applications, Private Letter Ruling Requests, and IRS and DOL audits. Mr. Zischke also advises clients on executive compensation arrangements including stock option, restricted stock, and other equity incentive plans, and non-qualified deferred compensation plans, including IRC Section 409A compliance. Prior to joining Dykema, Mr. Zischke provided advice to multiemployer defined benefit pension (including cash balance), defined contribution, insurance and welfare, supplemental unemployment, apprenticeship and retiree fringe benefit funds. Mr. Zischke now provides advice to employers regarding ERISA withdrawal liability and delinquent fringe benefit contribution matters. Prior to attending law school, Mr. Zischke worked for several years in the management of union and non-union production facilities. "ESOPs for the Closely Held Company – Don’t Forget about the Fiduciary Responsibility and Prohibited Transaction Rules"